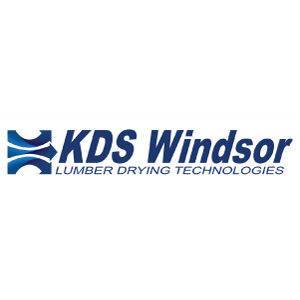 KDS Windsor designs, manufactures, and installs high performance CDK (continuous drying kilns) and batch kiln systems. We also offer dry shavings and green sawdust gasification burner systems. Our batch kiln and CDK systems are available in both direct fired (sawdust, shavings or gas) and indirect heated (steam, thermal oil or HPHW) designs. For substantial grade improvement on existing drying systems, KDS Windsor offers the DryTrack in-kiln and in-CDK moisture measurement system. Our product line also includes all aluminum hardwood kilns and state of the art controls like Dryspec. We can provide full turnkey projects including foundation and electrical work if required.